Awesome couple of weeks for Dominik being on podiums all over the world! His latest victory is the Maple Vibes contest in Toronto, Canada. Congratulations! Dominik wrote: "I'm super stoked for my run and also that I got finally 1st place at this contest! Big congrats to @jwilliamp and @jasonplourdeflat who killed it!". We read that he was sick a couple of weeks ago which makes it even more impressive. 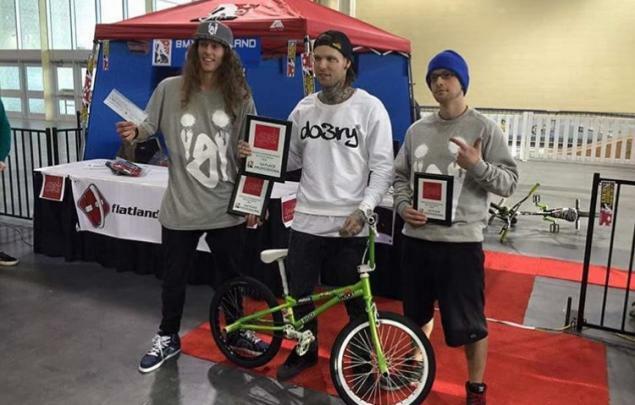 Dub got second and posted on Instagram that he won the best trick. Congrats too!